Motion Picture money continues to be seen in Rapid City. RAPID CITY, S.D. - Rapid City Police say they continue to receive reports of fake $100 bills being passed at area businesses. According to the police, they now have 11 cases this month of people using "for motion picture use only" bills. In the first week of May, that number was five. The bills are clearly marked with "REPLICA" under the serial number and "THIS NOTE IS NOT LEGAL TENDER. IT IS TO BE USED FOR MOTION PICTURES" but clerks are still fooled by them. 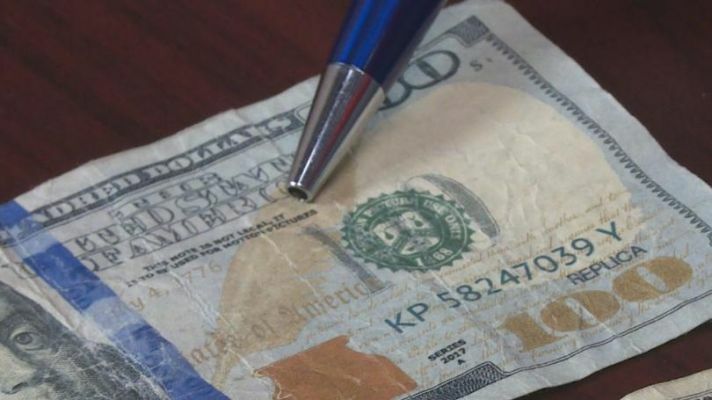 Police suggest people visually inspect money during a transaction; as well as use a counterfeit money detection pen to verify that bills are real. Anyone who may have been given this fake money can report the incident to police at 394-4131.